Congratulations to the winners of a $500 Vernon Women in Business Award 2013 – Tristan Humphries and Meagan Bonneau. Pictured here is our Vice President Sue Beaudry and Tristan Humphries. Congratulations to the winners of a $500 Vernon Women in Business Award 2012. Pictured with the Vice President from 2012 Shirley Higgins are Amanda Dacko to the left, and Samantha Mitchell to the right. 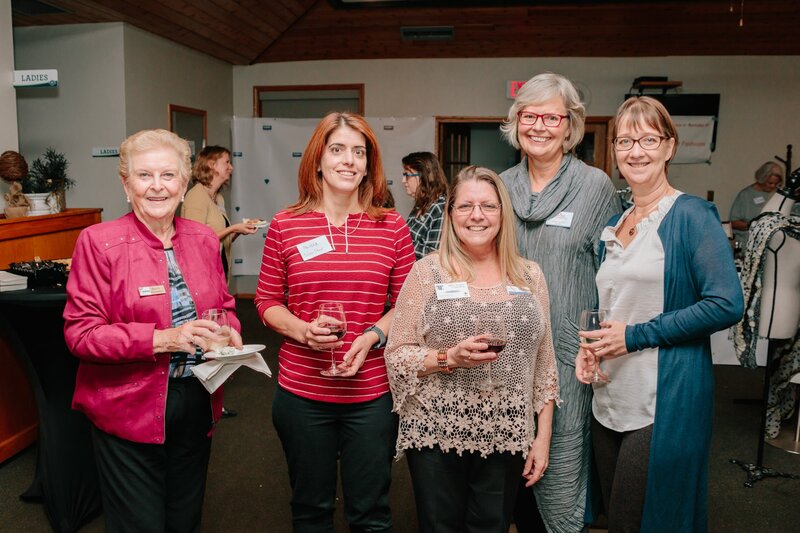 Vernon Women in Business is proud to support young business women in their pursuit of excellence. VWIB Scholarship Award was presented by Dr. Shannon MacNeil on November 18, 2009 to Samantha Robinson (in the teal) and Sandra Barger. Samantha is registered in Social Work and Sandra is in Teaching. They were enrolled in the first two years at Okanagan College and transferred to UBCO to finish their programs, commuting daily. They are mature students and both a mother of three children! !